Lesson Plans Toddlers - Make Bedtime Easier - Download "In the Big Bed"
Lack of sleep in toddlers has very serious outcomes and is linked to obesity in later life. Many children are determined to resist the signs obvious to us — they need to have a sleep, now! Let them experience these songs about bedtime during the day so that, when bedtime comes around, they have the language to understand the rituals. “Take off your shoes”, ‘say goodnight”, “sleep tight”, “sweet dreams”, “sleep pretty darling – do not cry”. 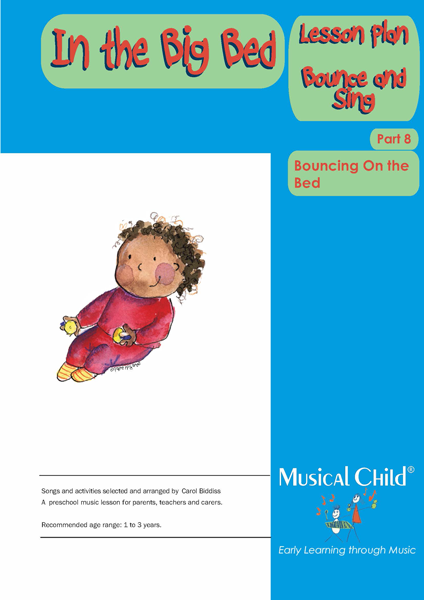 Use this resource to make bedtime a pleasant routine with calming stories and songs. 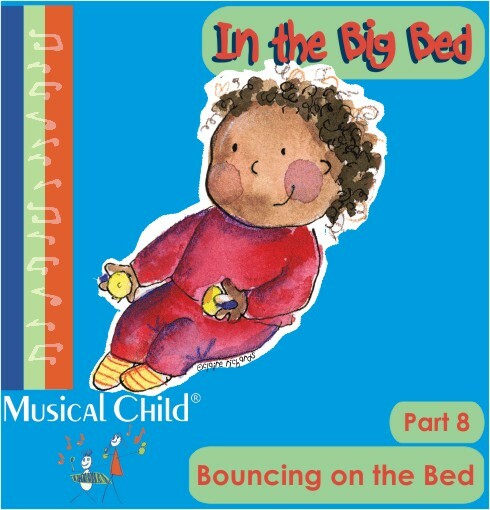 In our lesson plans for toddlers, this bedtime topic is a must-have for all educators. Bedtime can be a terrible struggle for the child if bad habits are allowed to sneak in. Replace resistance with playfulness and pleasure. During waking time, use these 10 enticing songs and activities to prepare the child’s mind for bedtime by practicing snuggling in, pretending to be asleep, waking up and staying in bed playing with toys in the morning. There’s a nursery rhyme about The Man in the Moon and another one about Wee Willie Winkie — both telling children to think about getting to bed. It’s all about setting up expectations of pleasant, repeating patterns of bedtime behavior. Happy and responsive toddlers aged 1-3 who develop their cognitive skills by playfully solving musical problems — such as making sounds from instruments and keeping up with the beat. 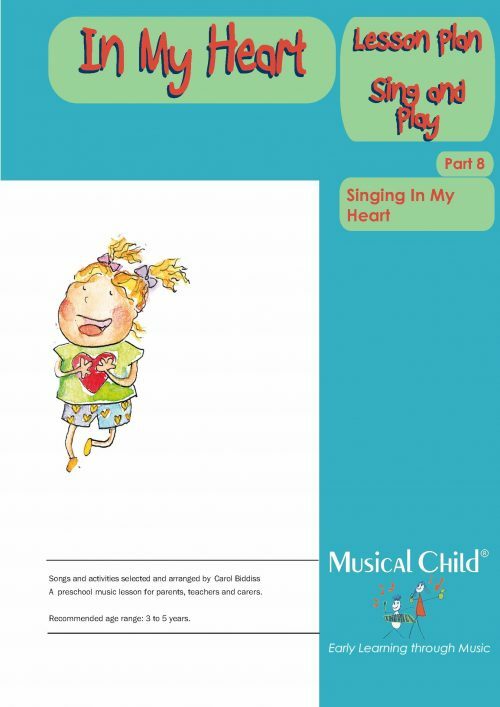 Wonderful music and movement sessions that are action-packed and designed specifically for those highly-mobile toddlers. 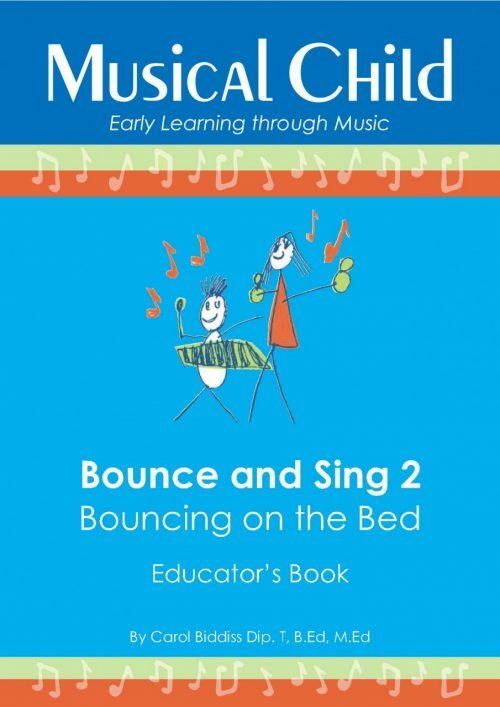 A delightful way to monitor and asses children’s physical development as you observe them handling the instruments, moving their small muscles to the beat and moving their whole body through space in time to the music. Friendly toddlers learning self- regulation of their social-emotional expressions — so important for self-soothing, gaining confidence and getting along with others. You save hours of weekend and evening lesson planning time. End the frustration of figuring out how to write down the learning opportunities, finding the right music, thinking up age-appropriate activities, working out a topic that brings everything together — it’s all done for you in one neat package in our lesson plans for toddlers. A digital music double-album set with all the MP3s you need to learn the songs quickly. 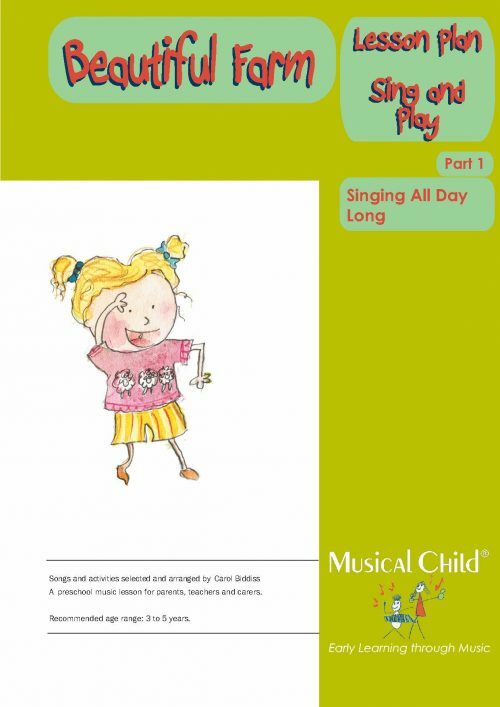 This includes all the musical recordings for 10 different song titles around the topic of active indoor activities. You receive 26 MP3s including 13 karaoke tracks to back you up singing “live” and 13 vocal tracks so you can learn the songs first. You also get all the lyrics on charts that you can display in your room so that you never forget the words, other adults can sing along with you, or if parents visit your room they can see what the toddlers have been learning from you. In the printable written booklet there are 10 different activities detailing exactly what you can do to keep the children actively engaged for the whole time. 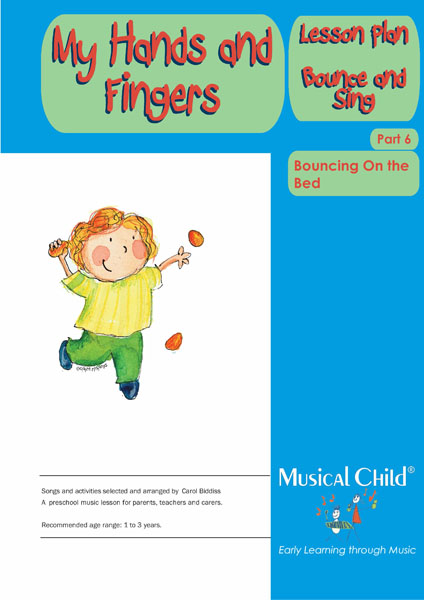 You also get background notes on why these are the right songs and activities for this age. In the learning outcomes, there’s a specific section devoted to language and speech development. As an added plus, you can see which are the main musical concepts taught within the songs. There’s also a simple score with chords and you get suggestions for Classical music to play for cultural enrichment. This is one of our flexible lesson plans toddlers and it lasts you for weeks. You can split it up into segments over several days or run it for up to 45 minutes once a week for 2 or 3 weeks. There’s so much variety and change of pace that it can work in many ways. And once you know the songs, you can sing them whenever you feel like it!